Don3D: Do You Remember: Captain Power and the Soldiers of the Future? Do You Remember: Captain Power and the Soldiers of the Future? 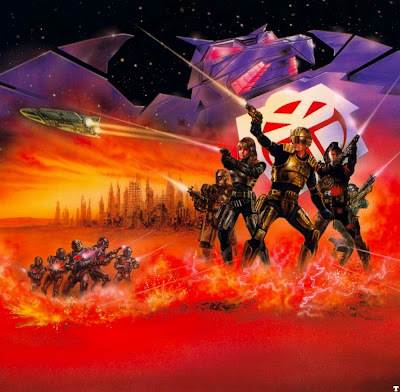 Maybe I made the show up in my head…but that’s not correct, thank god for YouTube: it proves that I didn’t just imagine this Sci-Fi 80s spectacle. Nobody believes me when I describe Captain Power and the Soldiers of the Future, but they all unanimously agree that it sounds pretty amazing. Well, maybe you’d have to be a kid again to feel the awesomeness. So I was sleeping and I thought of the best way to describe Captain Power and the Soldiers of the Future. It’s a future where everybody dresses like Bobba Fett. Correction: imagine that Bobba Fett was as cool as the Internet actually thinks he is, and not a guy who is being digested for a thousand years because he was blindsided. Semi-relevant descriptions aside, Captain Power is a post-apocalyptic futuristic war TV series from the late 80s. The show only lasted one season. That might have been because the creators had to break into Fort Knox to get enough doe to produce it. It was a revolutionary debut, one that used very early 3D graphics and special effects. It’s cheesy looking now, still that intro from the eyes of a 9 year old would’ve blow your frickin’ mind. Flying robot Pterodactyls would go around “digitizing” people: killing them by turning them into computer data…or at least that is what I assume. 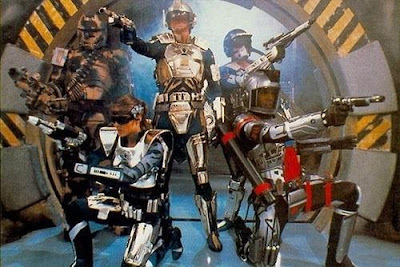 The main cast all wore the aforementioned bounty hunter-esc attire, each brining his or her special talent’s to the battlefield. It was all about wearing shiny armor though – they do have to sell toys now. Despite the series being directed towards kids it was ultra violent. Sure they were shooting lasers guns at each other, Transformers’ style; people still bit he dust in the end. Seriously, the finale had one of the main cast blown sky high. That and the budget was the doom for Captain Power and friends. YouTube brings us all back to our childhood and Captain Power and the Soldiers of the Future reminds me of the simpler times.